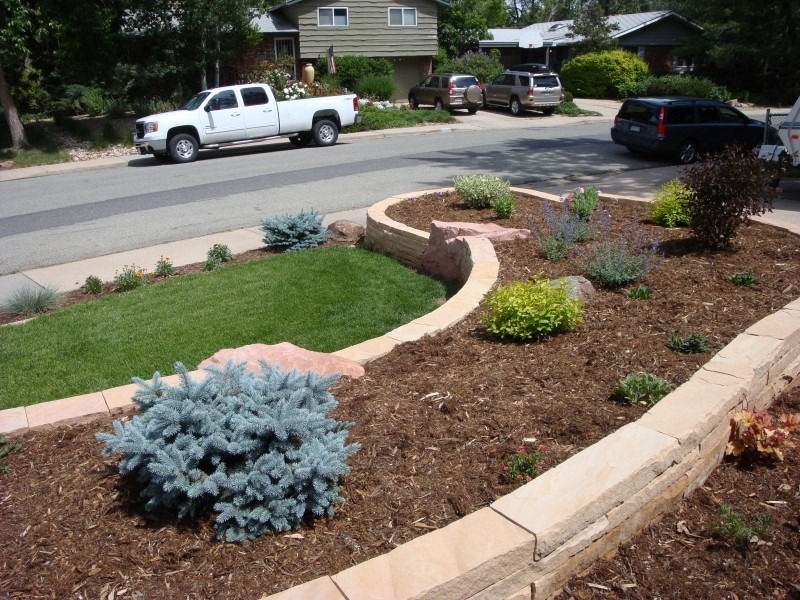 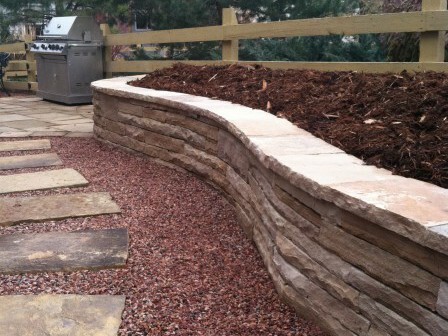 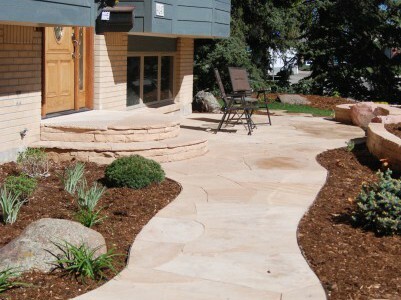 This project features stone patio work and the landscaping work done by Boulder Landscape & Design. 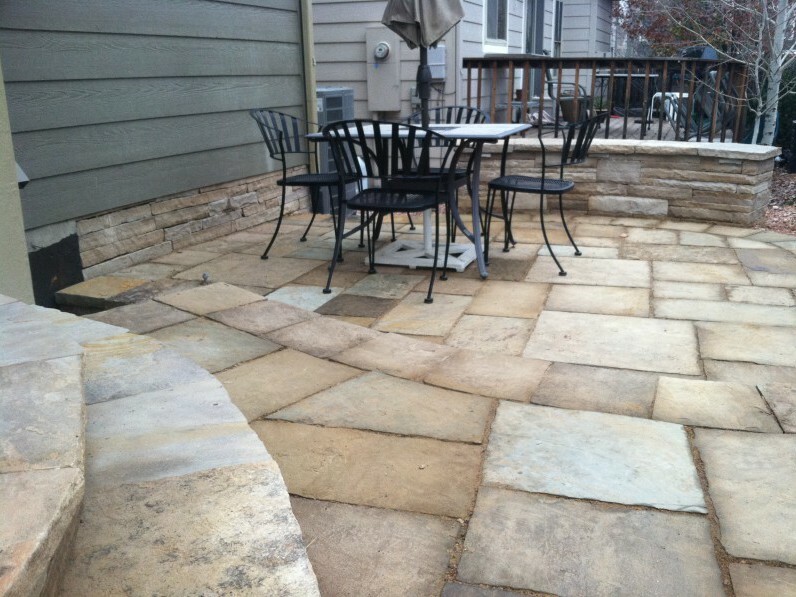 The design work by Kate and Theresa and workmanship on the stone patio by Jorge and Rodolfo. 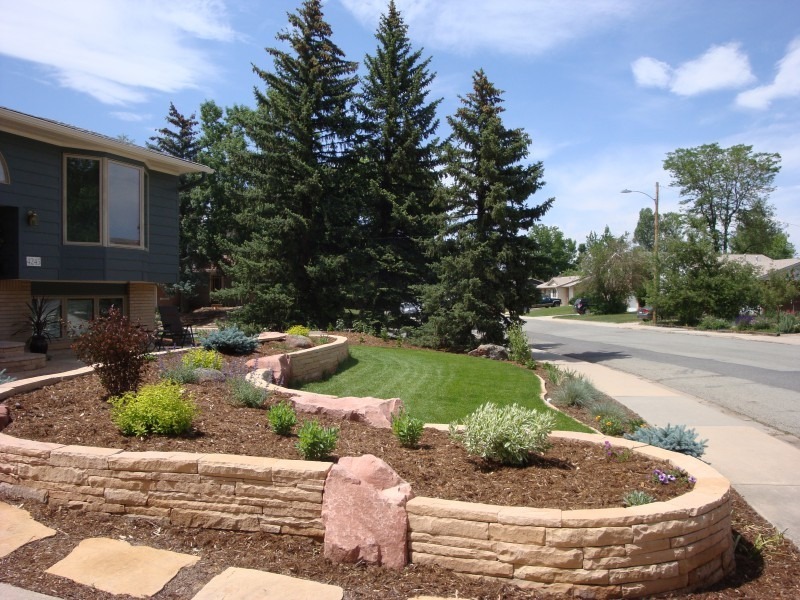  At Boulder Landscape and Design we have talented, artistic stoneworkers whose eye for light, color and texture create many of the stone masterpieces you see throughout Boulder. 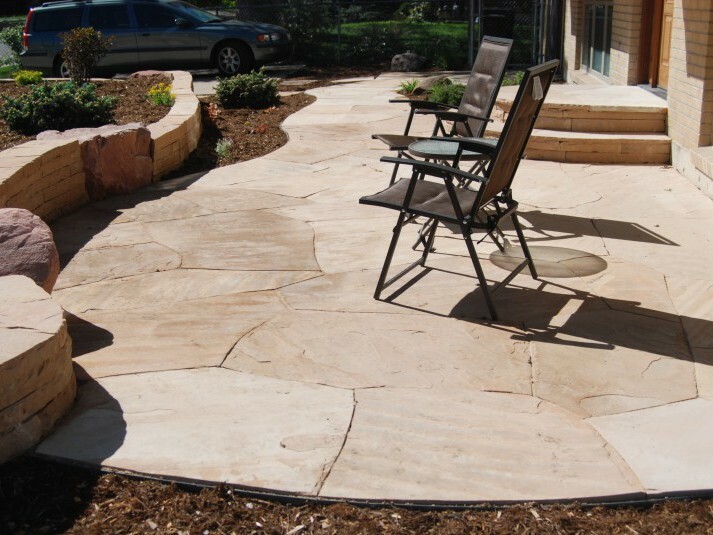 We prefer working with natural stone because it can be shaped and set to create both formal and naturalized settings. 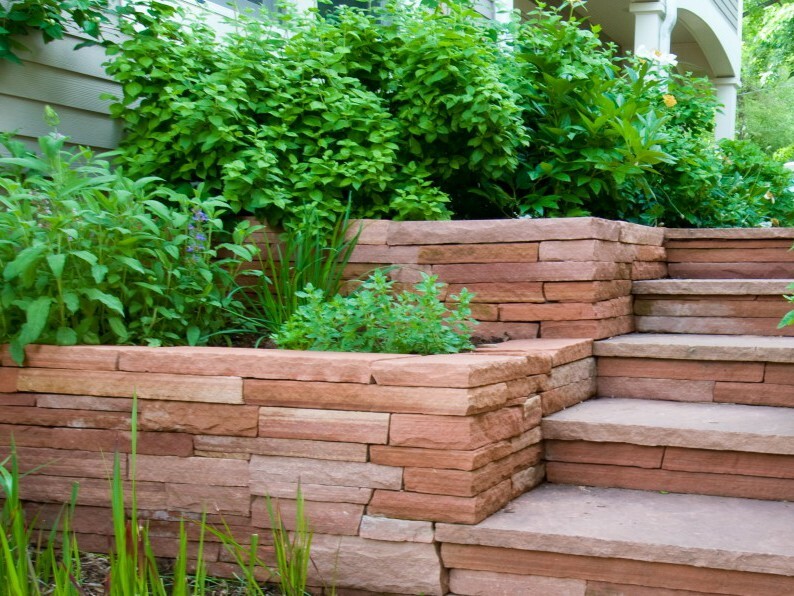 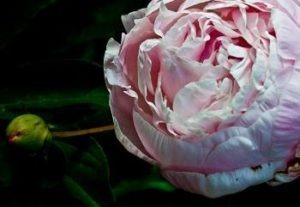 Because it is not preformed, our cutters can create magical spaces to surprise garden visitors with pockets of unsuspected flowers, unusual walkway twists, and welcoming cool stone benches along a wall. 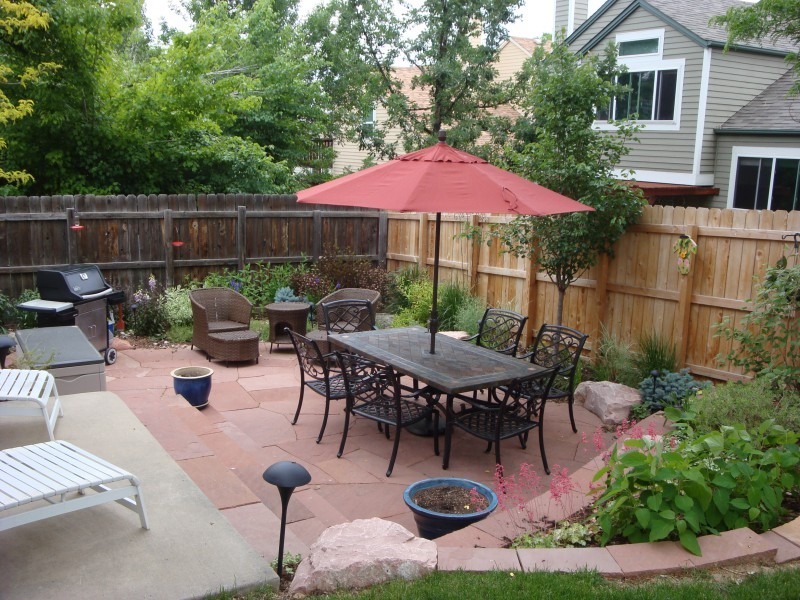 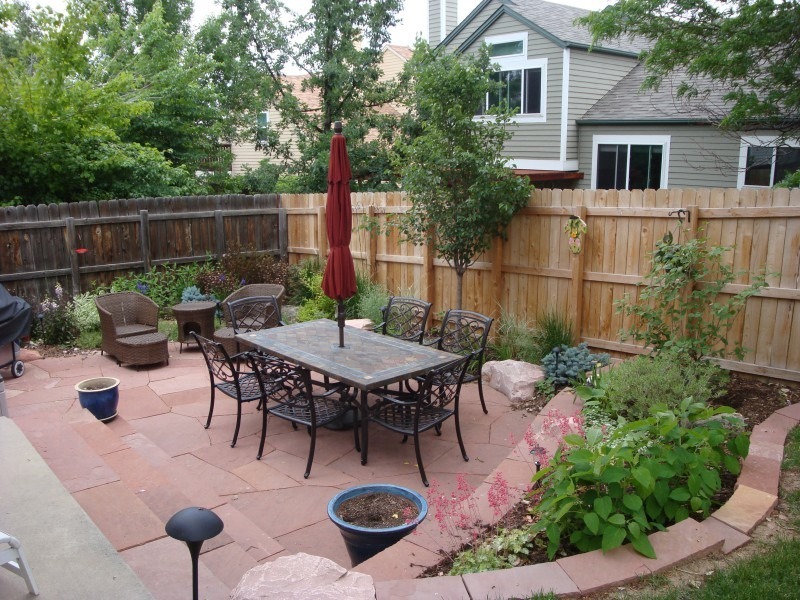 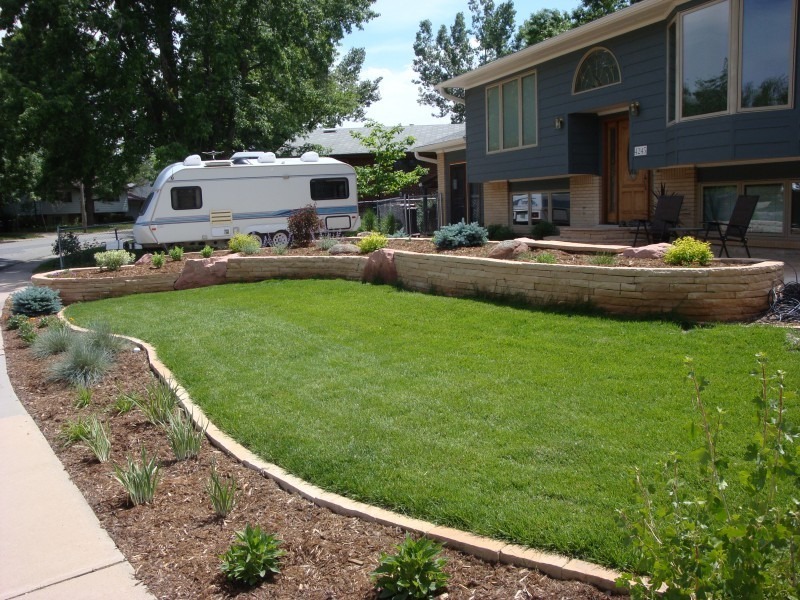 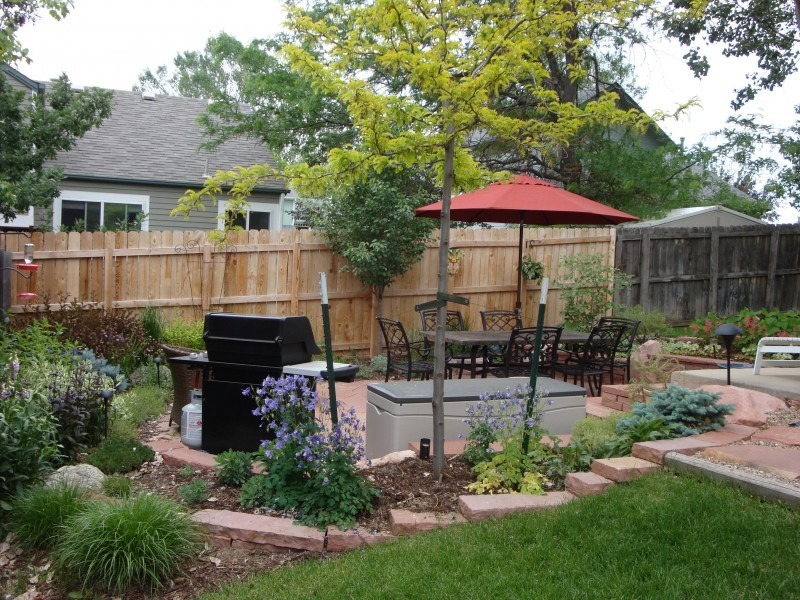 “We were extremely pleased with the stone patio work and the landscaping work done in our yard by Boulder Landscape & Design. 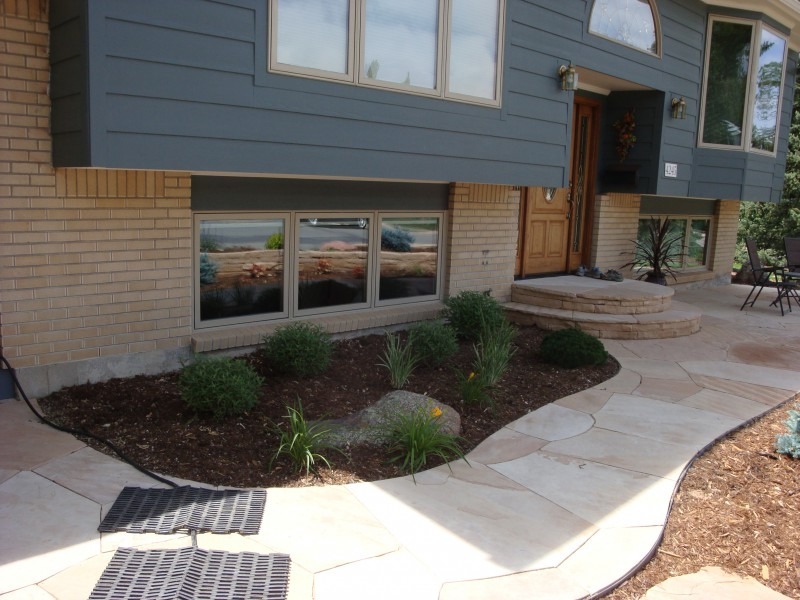 The design work by Kate and Theresa was friendly, creative, and professional, and we quickly learned to trust their opinion and recommendations. 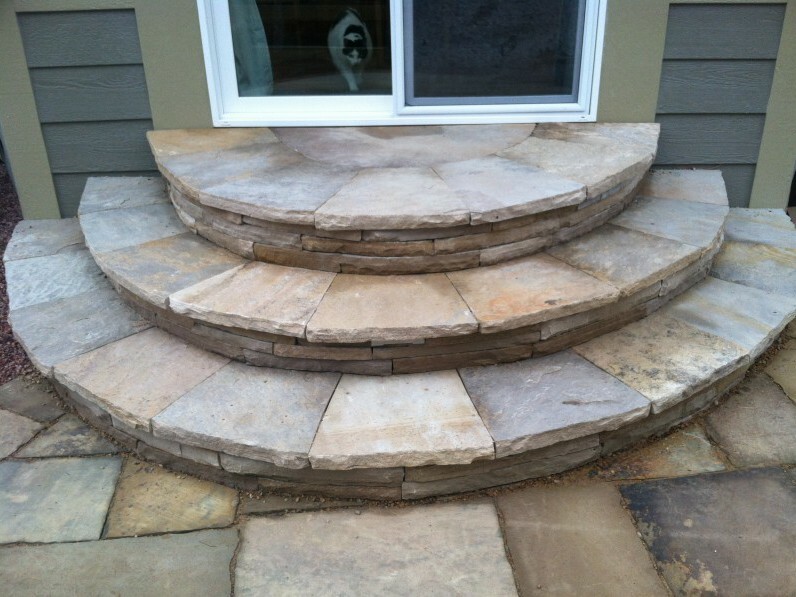 The workmanship on the stone patio, particularly by Jorge and Rodolfo, was excellent. 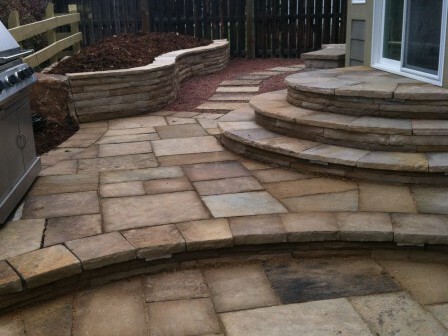 Their work is high-quality – they don’t take shortcuts and obviously take pride in their work. 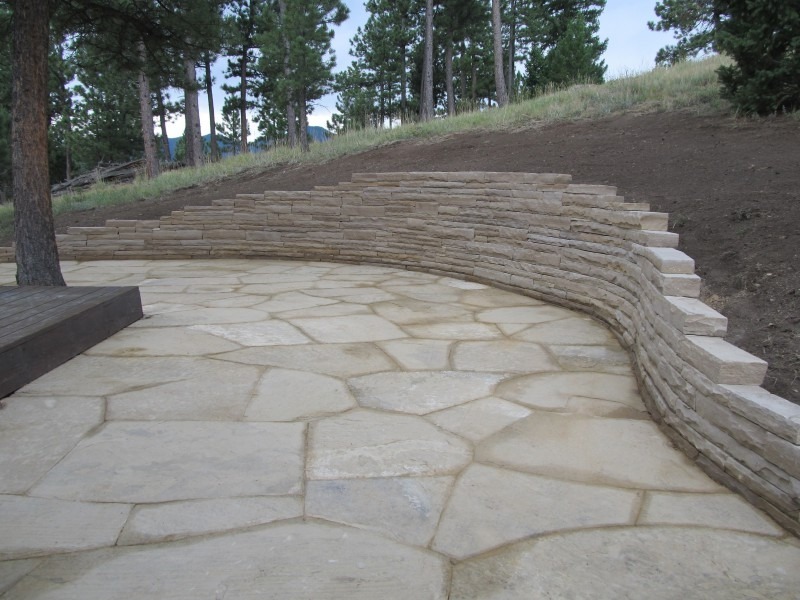 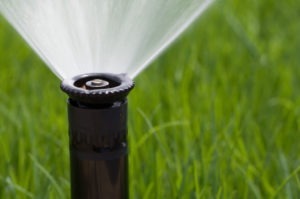 Our backyard looks beautiful and we can honestly say BLD exceeded our expectations in all phases of the project.” – Reinhard & Diane H.
What Kind of Stone is Right for Your Project?